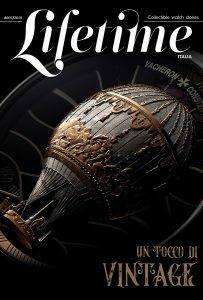 We enjoyed what we saw at Baselworld this year, when the venerable fair also celebrated its 100th anniversary. We usually see so many watches, so many jewels and we speak to so many people, that, afterwards, everything tends to become really hazy. 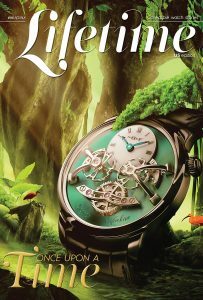 Especially when the watches are copies of previous copies – as it happened last year and two years ago – and you can’t even tell the original from its copies, and you don’t realize where the story actually started from. 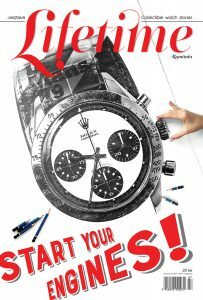 This March, however, things were different, so that now I can say, in all sincerity, that almost every watch brand made a positive impression on me with the models presented. Here’s a top 15 – actually a short review of the models I liked the most. At the beginning of last century, Jacqueline Hermès used to wear a pocket watch, for which Hermès made a bracelet. This is how it all began – the watchmaking business of one of the most beautiful and consistent luxury brands in the world. This year they introduced a very well-balanced collection, in key with the ethos of our times, of which I really liked Cape Cod for Men – the famous square watch framed in a rectangle. They are day-to-day watches – they can be worn at the office, with a suit, with a hip outfit, or when going out with friends. What I also liked was that this year the house found it appropriate to upgrade their watches with a movement, a dial or a case made in their own manufacture. 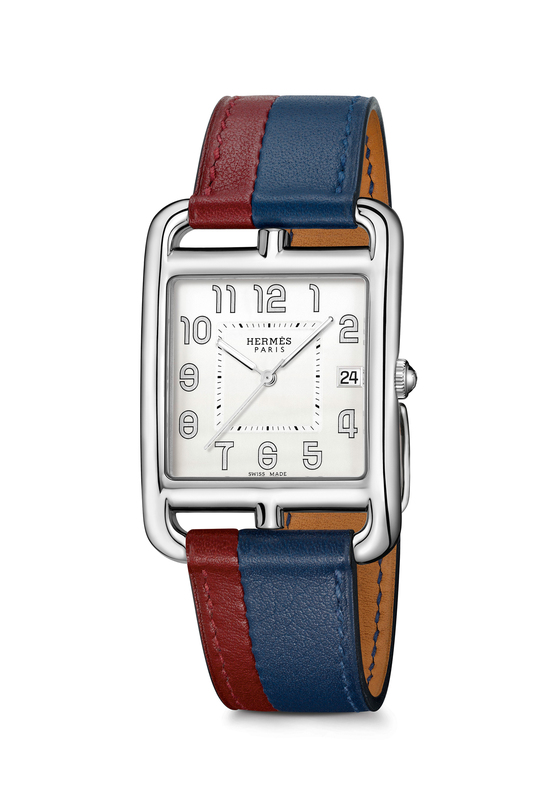 Of course, the straps are also the result of the famous Hermès craftsmanship. Seiko has long been one of my favourite watchmaking brands, ever since I visited their manufacture in Japan, where I realized their craftsmanship is by no means inferior to the Swiss craftsmanship. This year was clearly the year of the Grand Seiko re-launch, a collection that now includes three new Spring Drive Chronograph creations – with an impressive dial (of course, with the Grand Seiko logo placed at 11 o’clock), a very sporty design, and an excellent combination of titanium and ceramics (first used last year). The chronograph provides an accuracy of ±10 seconds per month (for the limited edition model), while the case and bracelet are incredibly lightweight and scratch-resistant. 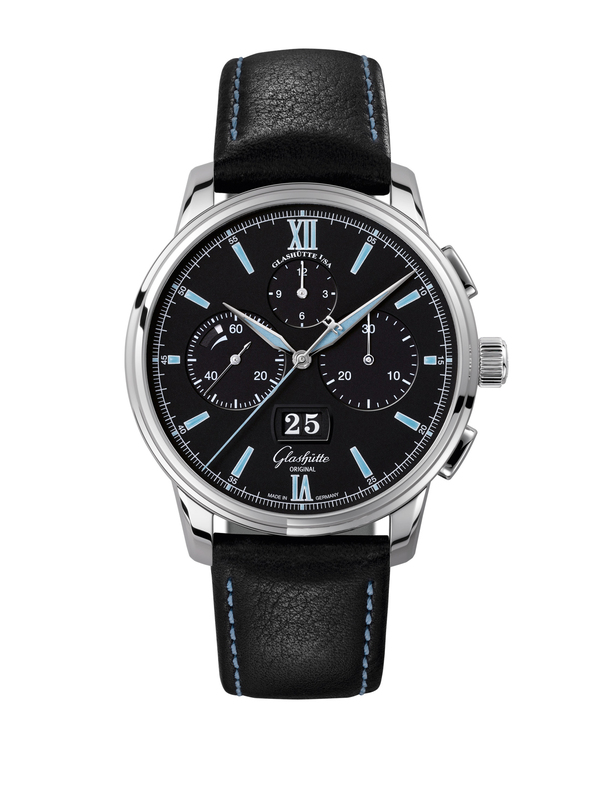 The limited edition model mentioned above was especially created for the 10-year anniversary of the Spring Drive Chronograph GMT calibre – the 9R96 calibre was especially adjusted to ensure near-perfect accuracy, the bezel features a tachymeter scale, the Grand Seiko specific blue shade is combined for the first time with the rose gold shade of the hands and hour indicators, while the oscillating weight features a Grand Seiko lion emblem in rose gold. 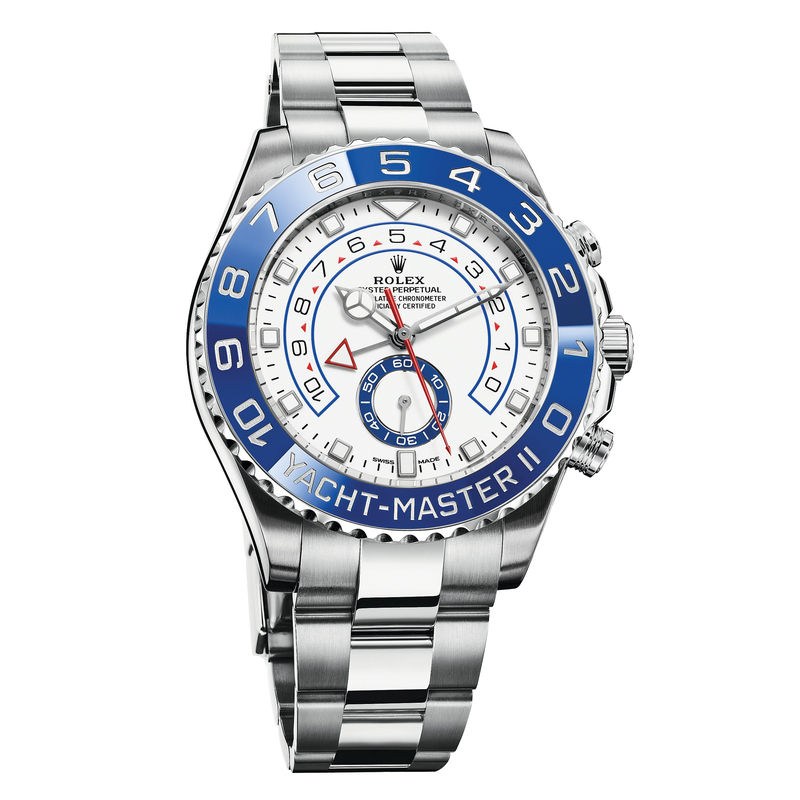 Up until now, Yacht Master has not necessarily been my favourite model from Rolex. This year, however, Hans Wilsdorf’s successors launched a new edition with one of the most beautiful dials I have ever seen. The new regatta chronograph, in its full name Oyster Perpetual Yacht-Master II, has a both beautiful and easily readable dial, thanks to the new hour indicators (a triangular one at 12 o’clock and a rectangular one at 6 o’clock). The luminescent disc on the hour indicator clearly distinguishes it from the minute hand, a configuration which ennobles the steel models, the Everose Rolesor (steel and gold) version, as well as the yellow gold and white gold versions. The white gold model is my favourite by far. For those who now hear about Rolex for the first time, Yacht-Master II is unique for its programmable flyback timer with mechanical memory. Very useful for regattas, like the extremely solid case. The 461 automatic calibre is entirely designed and manufactured by Rolex. In-house, of course. Perhaps some of the watch connoisseurs will strongly disagree with me, but I must confess I have never liked Patek Philippe very much. Yes, their watches are technical masterpieces, but their personality does not convey too much to me, and I find the brand strategy a bit confusing lately. 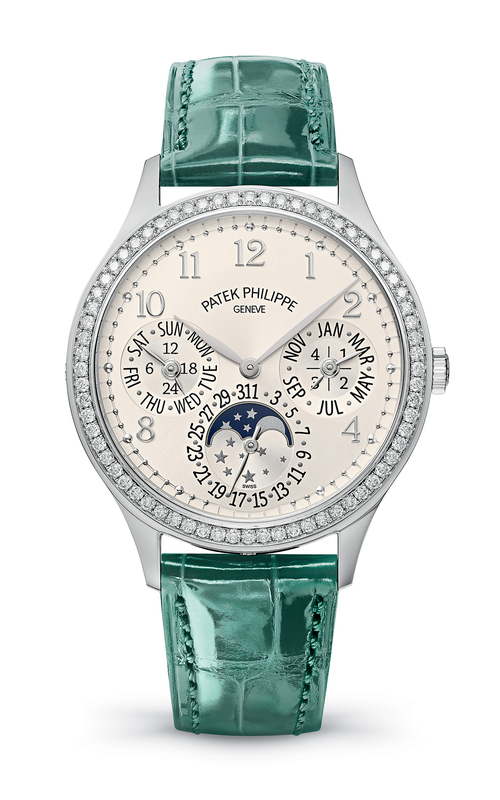 I must admit, however, that I was completely charmed by Ladies Grand Complications, also known under its reference number – 7140G-001. This is a perpetual calendar for ladies, with functions such as date, day, month, leap year, Moon phases and 24-hour display. The bezel is paved with 68 diamonds, the silver dial is absolutely wonderful, the buckle of the alligator strap is also set with 27 diamonds, whereas the caseback can be made of either gold or sapphire crystal. The diameter of the case is 35.1mm. The 240 Q calibre is a ultra-thin self-winding movement, with 275 components, beating at 21,600 vibrations per hour. Another very beautiful chronograph, with a classic yet modern design, was launched by the Germans at Glashütte: Original Senator Chronograph Panorama Date. If the design is absolutely flawless, the movement is by no means inferior: new, modern – the self-winding Caliber 37-01. 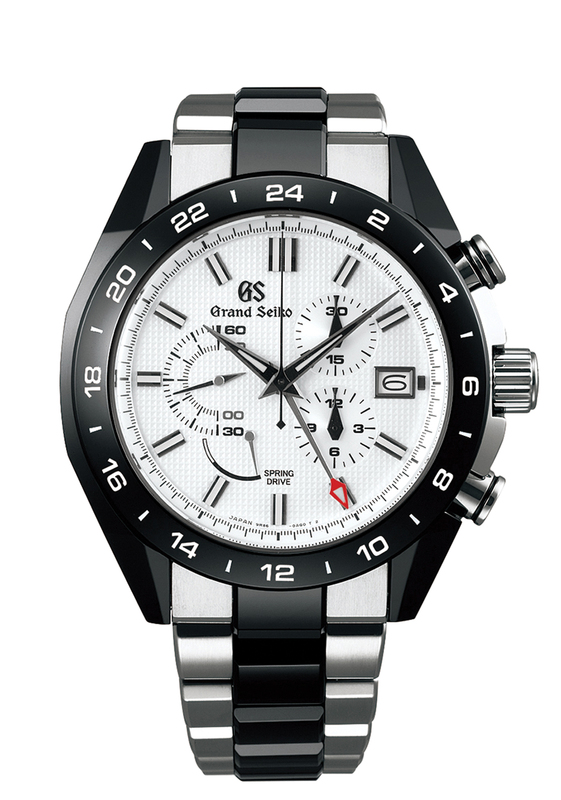 The watch indicates the hour, the minutes, the small seconds, the date and the power reserve. The steel case is 42mm in diameter. The version with the rubber strap is my favourite, and the dial as black as the night makes a beautiful contrast with the blue accents on the indices and the hour indicators. 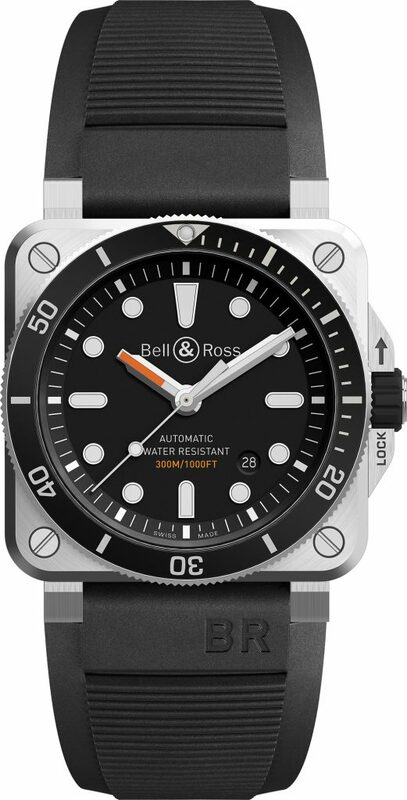 Bell & Ross launched a remarkable diving watch – BR03-92 Diver. If some brands have too long or very poetic names, Bell & Ross falls in the other extreme, with dry names and definitely including many numbers, to remind us it is all about instruments. 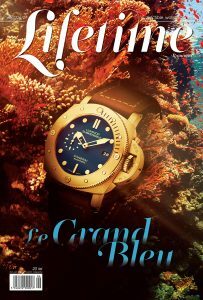 An instrument or a watch, as we choose to call it, it is very beautiful – obviously one of those diving watches that can be worn on land too, it’s not like we’re diving all year round! Most of us, anyway… The BR-CAL.302 calibre is automatic, the watch is water resistant to 300m, the satin-polished steel case is 42mm in diameter, the unidirectional rotating steel bezel has a 60-minute scale, and the black dial makes a pleasant contrast with the Superluminova-filled hour indices. 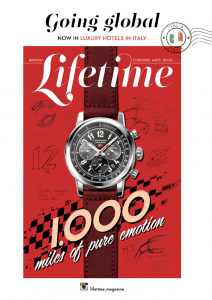 Longines knows how to make many modern, accurate, contemporary watches. But, in my opinion, the most beautiful Longines models are those with a vintage appearance, reminding of the treasures in the brand’s archives. As the name suggests, Longines Heritage 1945 recreates a model launched 72 years ago; a precious watch, with pure, clean lines, Bauhaus style indices and numerals and a domed crystal. I like the blue steel indicators and especially the dial which they proved wise enough to keep almost identical with the one launched in 1945. 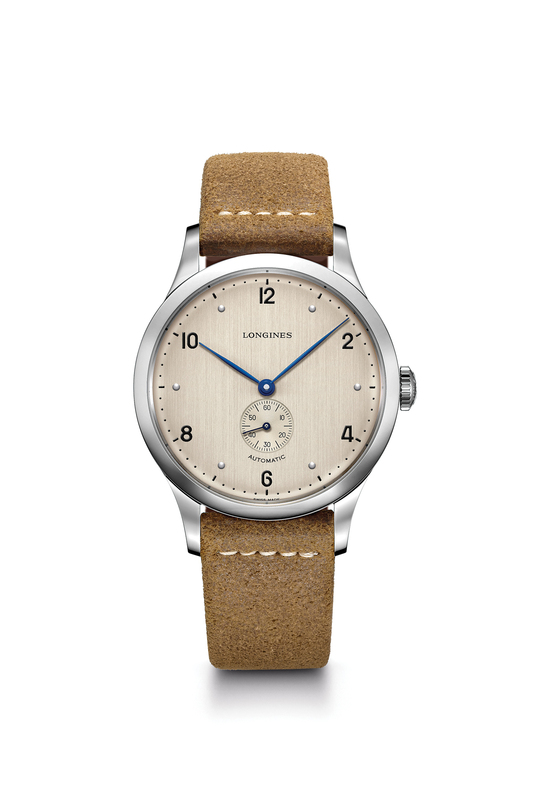 The new Longines Heritage 1945 features the L609.3 automatic calibre, with a 42-hour power reserve. 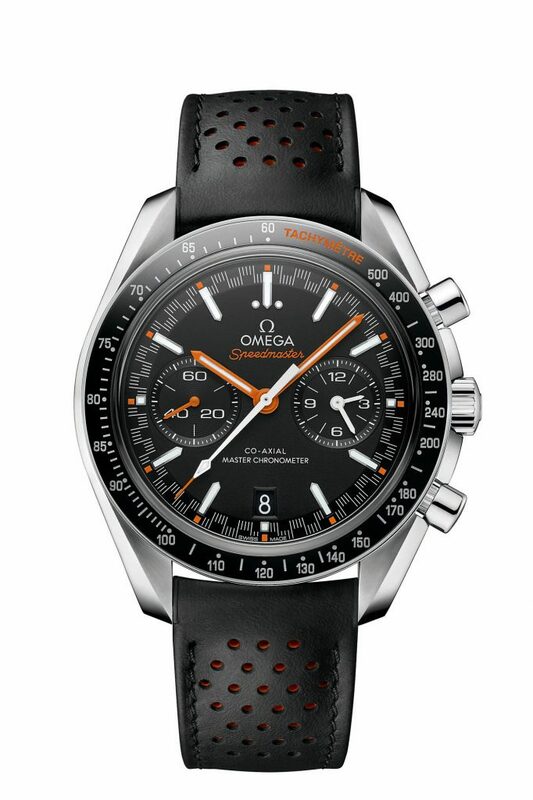 Omega landed on the Moon, that’s true. Nowadays, the brand enjoys, perhaps, as much fame thanks to George Clooney, already the most popular dad on the planet. 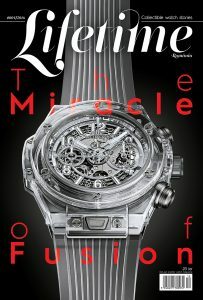 The brand had a good year, and it launched a well-balanced and simply beautiful collection at Baselworld. Speedmaster Racing Master Chronometer drew my attention – since the title makes double use of the word Master, it is clear that we are talking about a special watch: the minute track links back to an era of great beauty and performance in car racing (1960s-1970s), as do the chronograph counters. The 42mm case includes steel, gold and ceramics (for the bezel), while the sapphire crystal has been carefully wrought for a slimmer appearance. I really love the black leather strap with its orange accents visible through the micro-perforations. The watch is equipped with the 9900/9901 calibre. Chanel launched a collection which is unique in elegance, humour, style, functionality and innovation. I was surprised by the table clocks, which I would buy at this very moment if I could, I liked Boyfriend Tweed a lot, and I was dumbfounded at the sight of the marvellous Première Camélia Skeleton. All those who know me also know that I don’t like skeleton models, I often find them unnatural, and I’m not particularly enthusiastic about this “stripping” of the watch, even if the movement is so beautiful that it has to be shown. The Chanel piece has impressed me, however, through its elegance and the wonderful visual effect. Calibre 2 is the second in-house movement developed by Chanel, and it recreates the geometric beauty of the camellia. 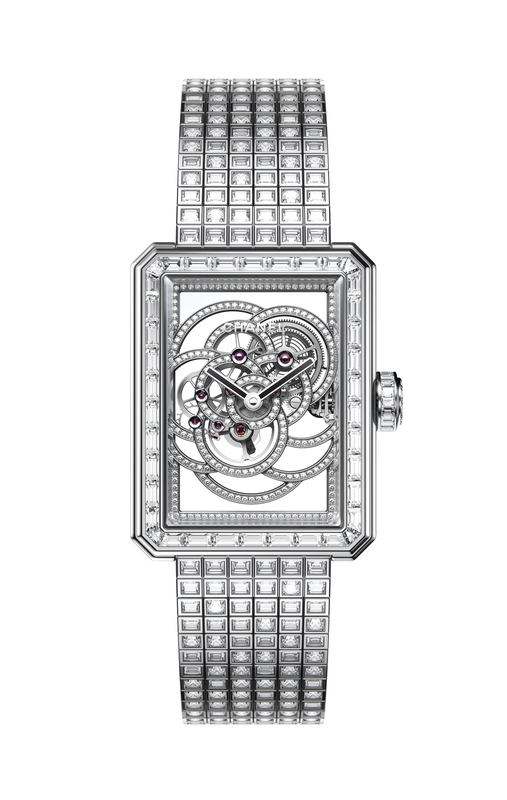 Both the movement and the watch itself are made of white gold and diamonds. Now I’m coming to another watch I would wear every day, just to think of the adventures and the courage of inter-war aviators – the new Pilot Type 20 Extra Special Chronograph from Zenith. The brand called it „extra special“ and so it is – the bronze case, the black dial, the khaki nubuck leather strap – it looks exactly like those watches that the explorers and adventurers used to wear back in our great-grandparents’ days. 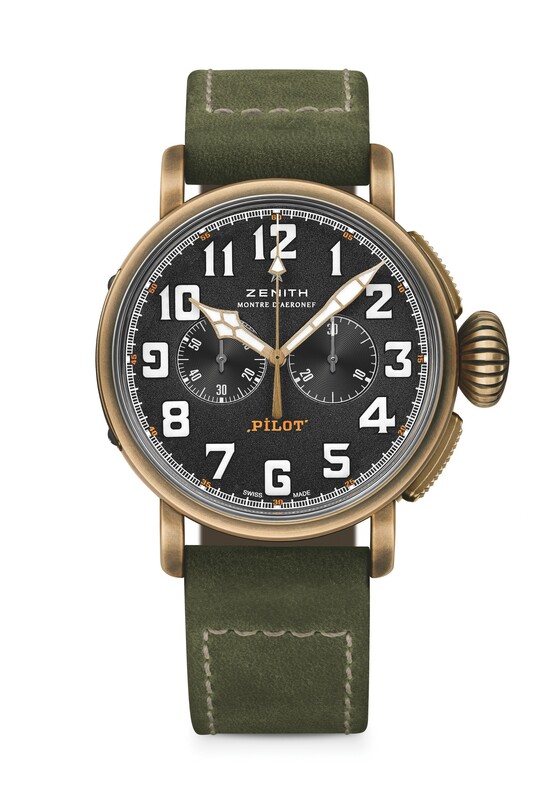 Zenith even claims that the new pilot watch has a manly case. I’m not necessarily of the same opinion, since it is the type of watch that can easily be worn by ladies, in spite of its current 45mm diameter. The crown and the pushers are still big, as they were 80 years ago, so that they can be handled even with the gloves on (like the pilots used to fly back then, when it was terribly cold inside the cabins), the dial is perfectly legible, and the sapphire crystal is slightly domed. The Montre d’Aéronef and Pilot inscriptions are a reminder of the fact that Zenith was among the first manufacturers of altimeters and cabin watches in the civil and military aviation. The calibre is an El Primero 40, with a 50-hour power reserve – a descendant of the world’s most accurate series-made chronograph developed by Zenith in 1969. 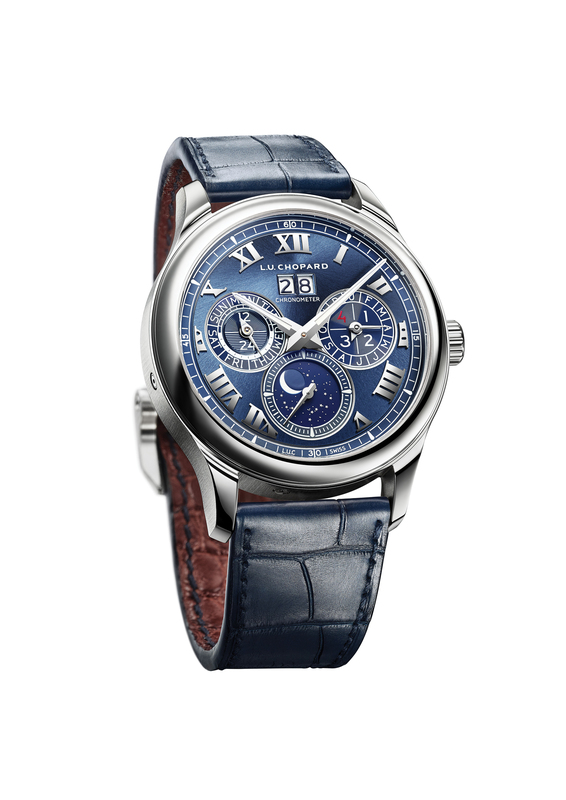 Chopard launched L.U.C. Lunar One Platinum Limited Edition, a limited edition of 100 pieces of the perpetual calendar with an orbital Moon-phase display, in a platinum case, with a marvellous blue dial. The Moon orbits the small seconds axis on a subdial, and the chronometer-certified 96.13-L calibre, bearing the Poinçon de Genève seal, makes all this poetry possible. The dial indicates the hour, minutes, small seconds, date, leap year cycle and the orbital Moon phases. The oscillating weight is made of 22-carat gold, and the power reserve goes up to 65 hours. The model is part of the extremely limited category of very precious and exclusive manufactured watches, yet with inherent good taste and a versatile subtlety that makes them the perfect watches to wear with both an elegant suit and a relaxed weekend outfit. Hamilton, a reasonable, elegant, simple, affordable brand, yet very innovative, daring, surprising, unexpected. Like the new ODC X-03 model. ODC is already a legendary model, already at the third edition, and it was launched together with Stanley Kubrick’s film 2001: A Space Odyssey. X-03 is the result of a 2014 meeting with Nathan Crowley, production designer for Interstellar, a film with three Academy Award nominations. The meeting took place on the occasion of the Behind the Camera Awards gala, which Hamilton organizes every year in honour of the professionals behind the cameras, as it is often the actors who get the public’s full attention (this is another reason why I like Hamilton so much). ODC X-03 gets its inspiration from Interstellar Endurance spacecraft’s design. The black PVD-coated titanium case has an impressive size (49mm x 52mm), and the dial is, in fact, a 3D reproduction of the surface of planet Jupiter. Also on the dial there are three time subdials – local time, UTC and home time. Each subdial has its own movement – an innovative idea that partly explains the impressive size of the watch. 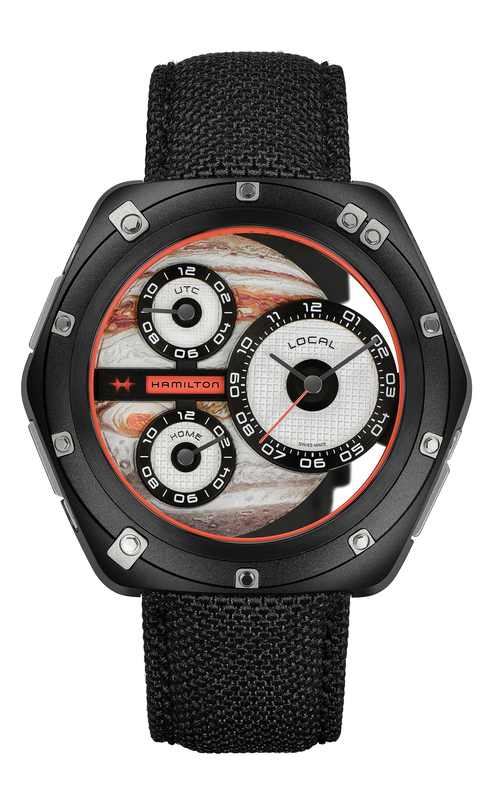 Of course, Hamilton watches have played an important part in both 2001: A Space Odissey and Interstellar. Carl F. Bucherer is a brand I gradually became acquainted with, until I came to appreciate its models with a special profile and appearance. The model that got my attention this year was Patravi ScubaTec SFA Special Edition, a diving watch made of steel, with a steel and ceramic bezel, water resistant to 200m. 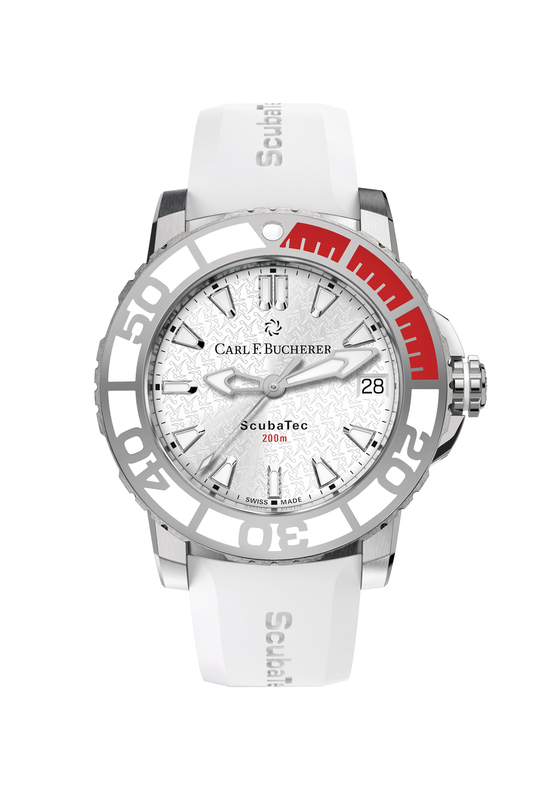 It is the perfect summer watch for the ladies, with its 36.2mm diameter, white rubber strap, milky-white dial and a remarkable bezel, white with a fiery-red section. I can’t swim, so I wouldn’t go diving with this watch (not willingly, at least), but I would wear it in summer, at the seaside, on the beach and even at the office, to think about the holidays. Not long ago, I read a very well-documented article explaining why several scientists believe the end of humanity will occur at one point during the next 20 years. At Baselworld, I found out from Oris that sharks will also disappear in 40 years’ time. The good part is that Oris, one of the few still independent watchmaking brands, has partnered with conservationist Jérôme Delafosse, launching a watch that will contribute to a tracking programme dedicated to hammerhead sharks – one of the most threatened shark species. Oris and Delafosse hope to be able to provide authorities around the world with enough information, so that, in turn, they are able to change fishing practices – the number one cause of shark extinction. 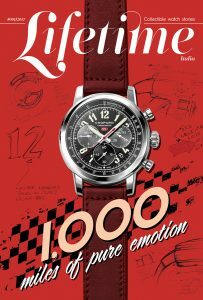 2,000 pieces of Oris Hammerhead Limited Edition will be launched. 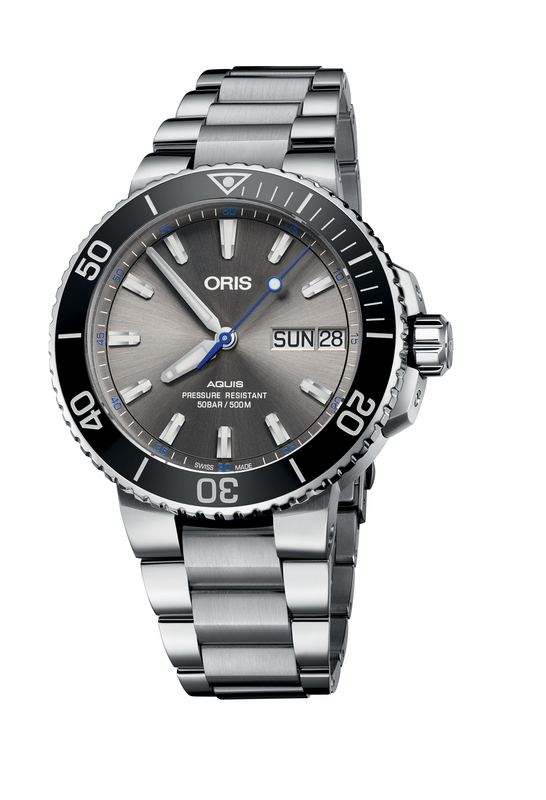 A beautiful timepiece, water resistant to 500 meters deep, equipped with Oris Cal. 752 automatic movement, with day and date indicators at 3 o’clock, with central seconds hand and minute scale numerals around the dial. The caseback is embossed with a hammerhead shark and the number of the limited edition.